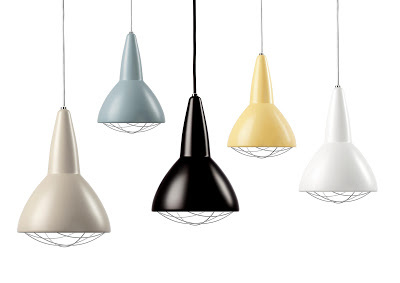 Danish Lighting company CPH Lighting established since 1989 produce several lamps from one our favourite designers Tom Stepp. One of the main features of the collection is their use of colour. The elegant Oblique floor and table lamp (1979) is available in a range of fantastic colours that enliven neutral interiors. 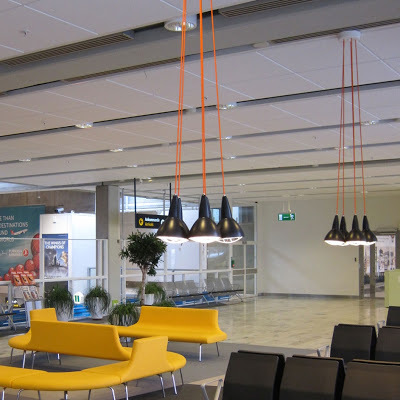 CPH are also able to produce alternatives on request and one recent project handled by Fox Design was at Landvetter Airport, in Gothenburg. Grid was used in clusters with orange cables.